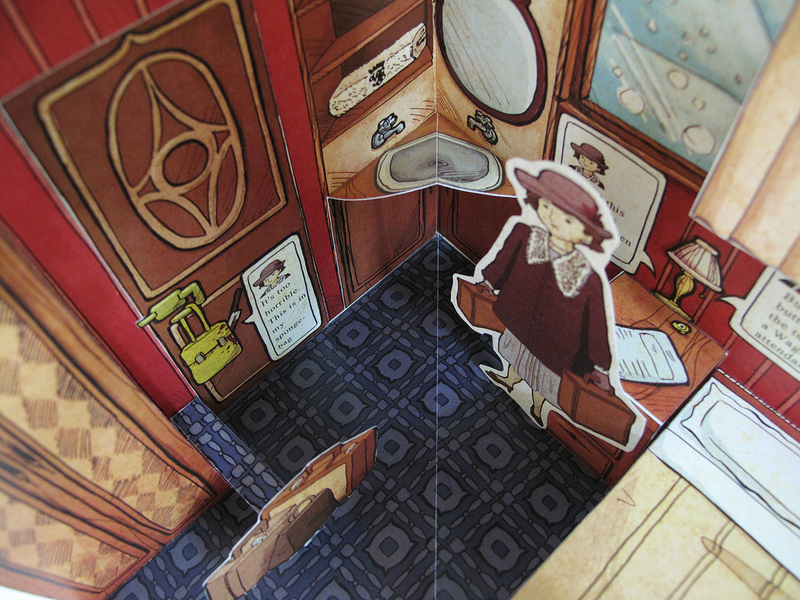 To explore new models of storytelling for detective stories. 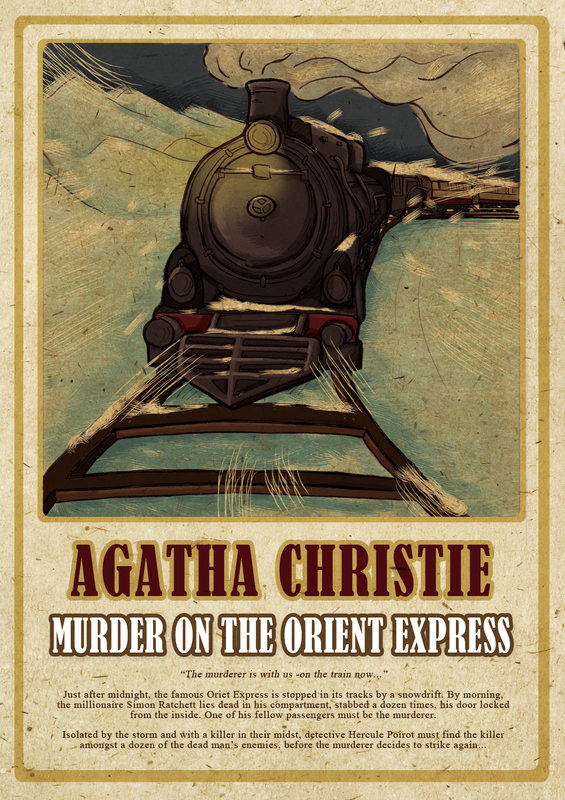 Crime fiction authors directly leave clues in their plots for audiences. 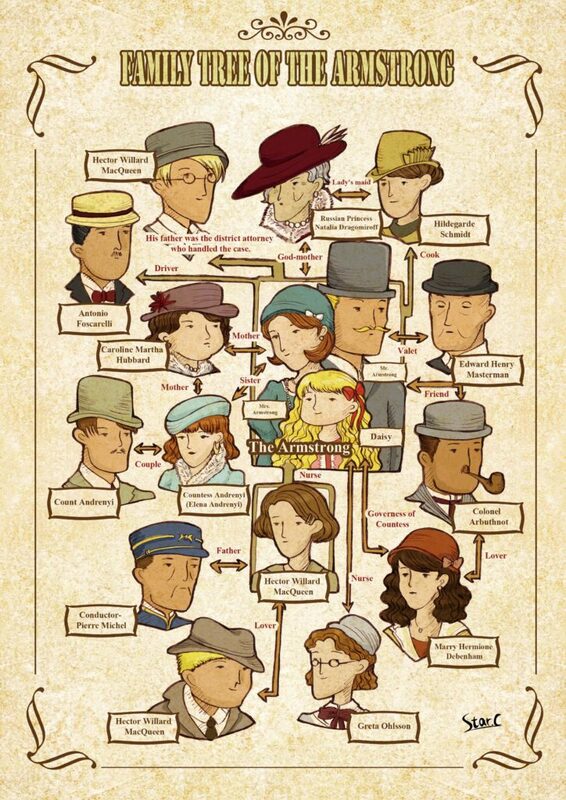 However, the author offers few clues for audiences to solve the mystery before the author provides the solution. 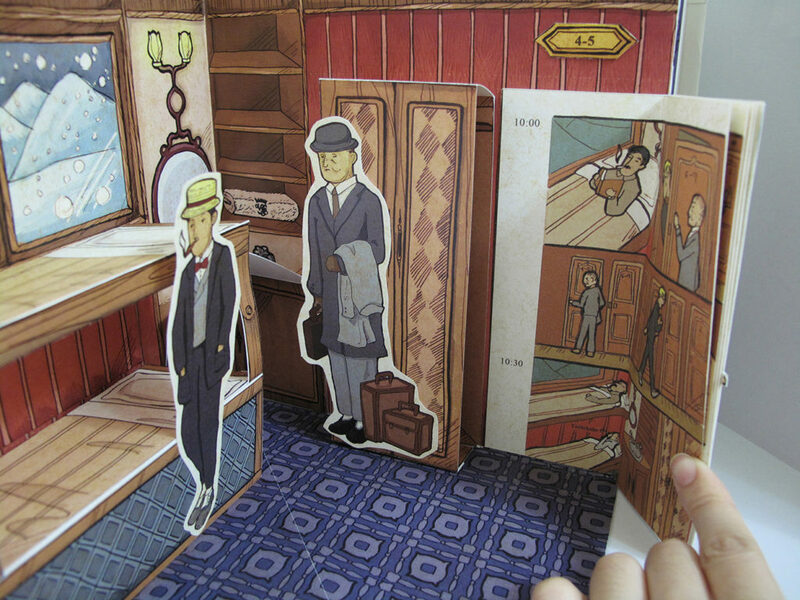 Therefore I would like to create a model of crime scene plant evidences within the model which audiences from twenty to forty ages can find the clues and solve the mystery and visualise being the detective. 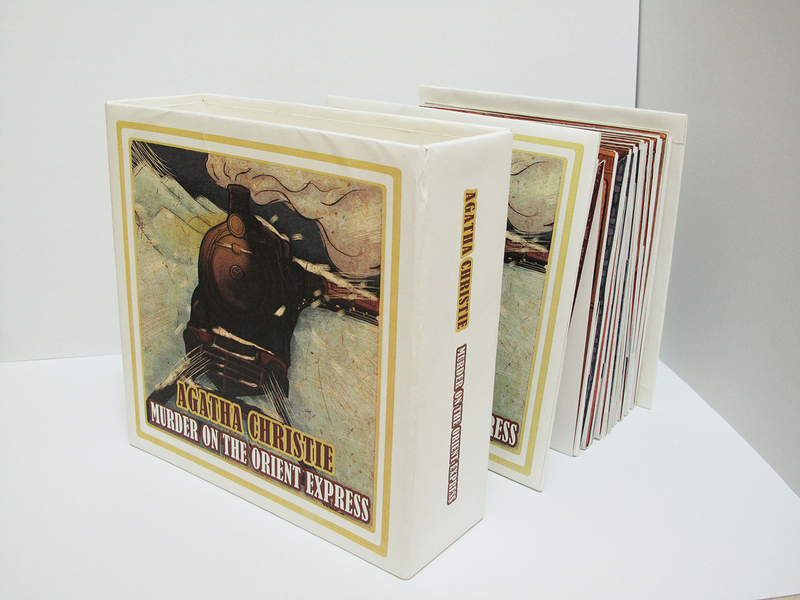 This is final project of master degree in Kingston University. 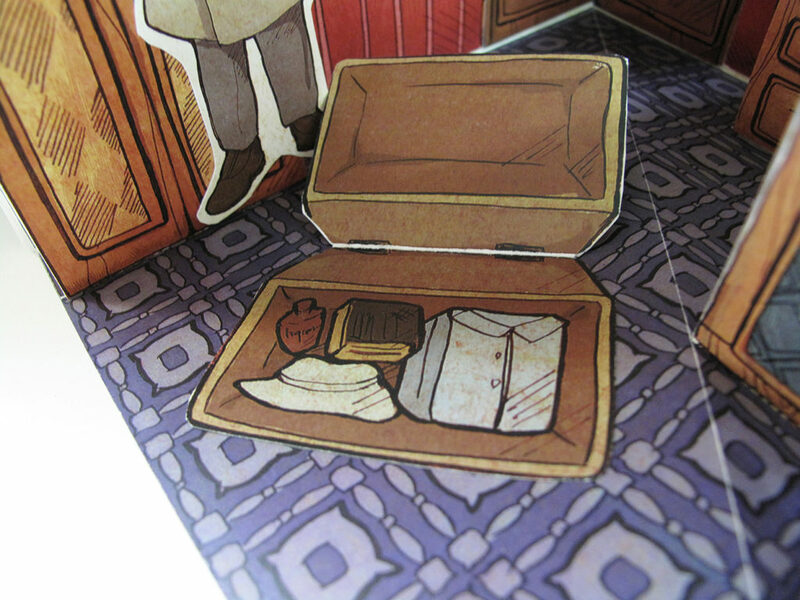 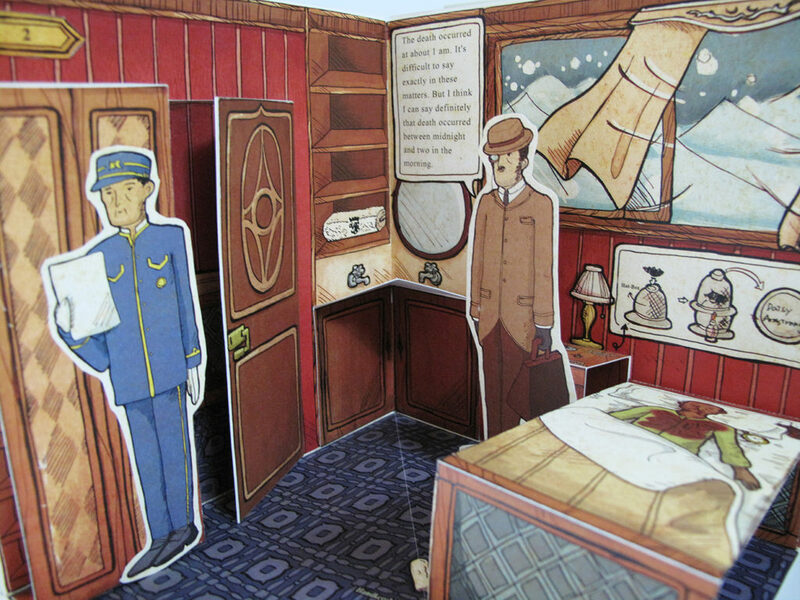 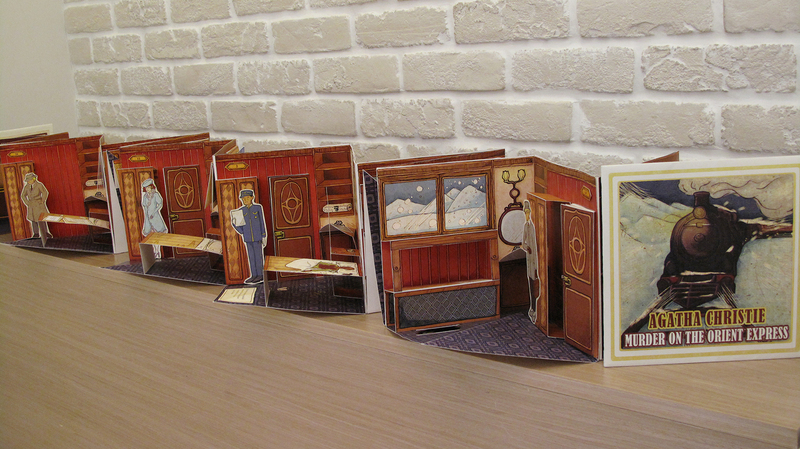 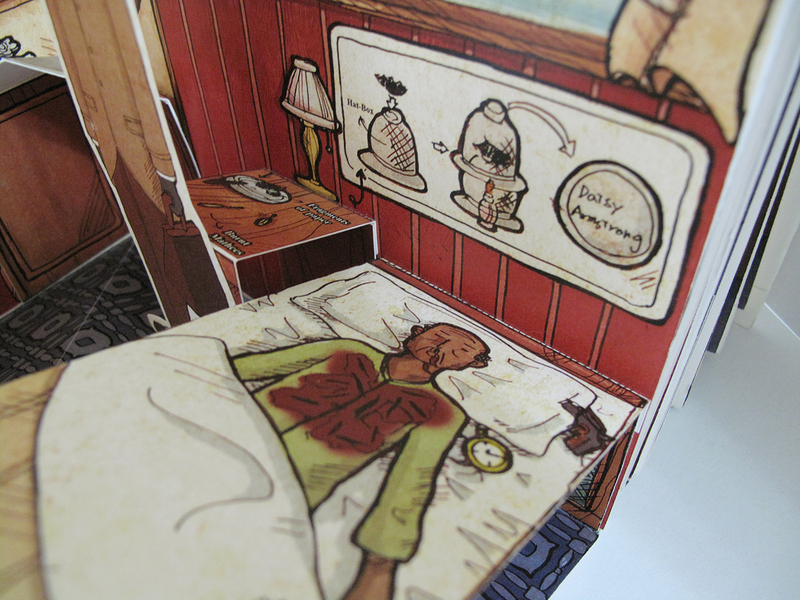 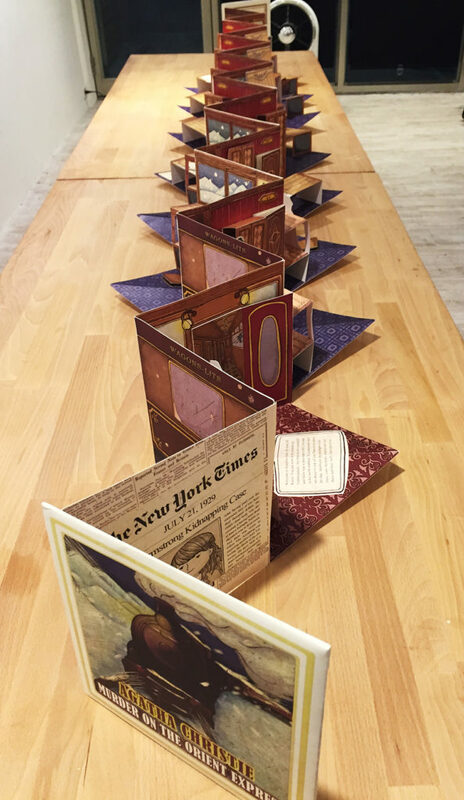 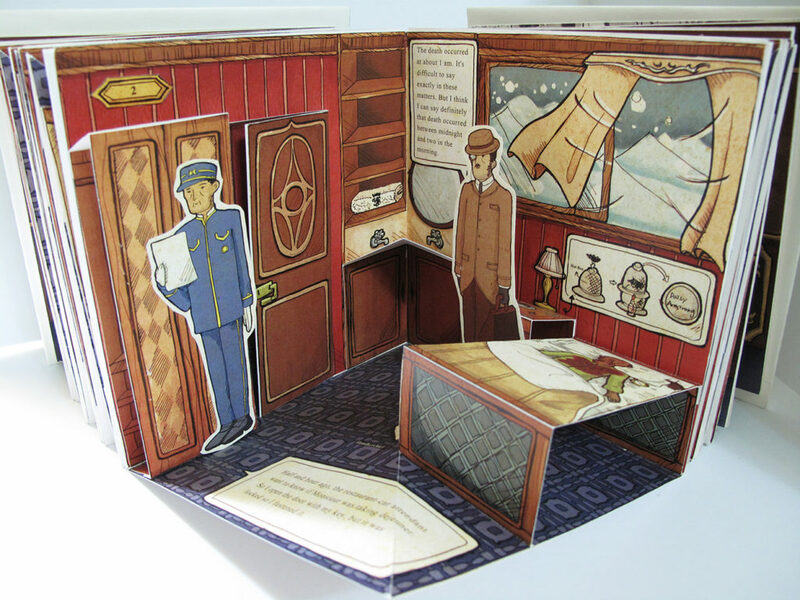 The pop-up book is based in the famous detective fiction “Murder on the Orient Express" by Agatha Christie. 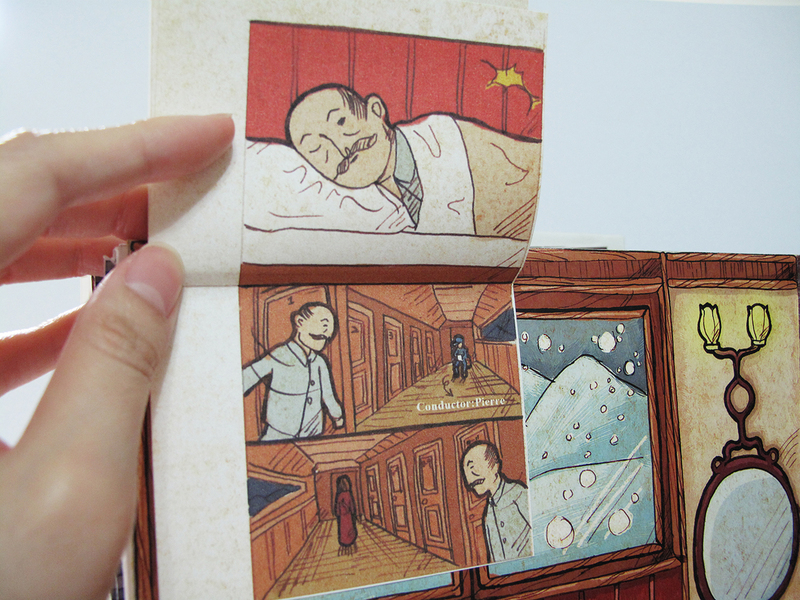 I separated the plot to three parts : the kidnapping case, crime scene and the end of story, and showed then by different kind of structures. 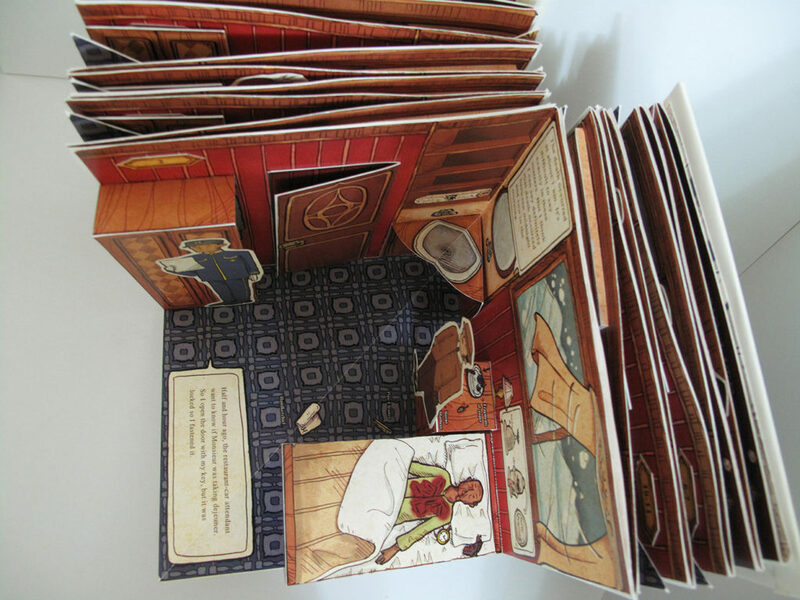 The reader can find the clue and evidence by themselves.